Iran has warned China it could cancel a much-delayed $5-billion offshore gas exploration contract to develop South Pars field in the Persian Gulf, Iran’s oil ministry announced on Monday. South Pars, a huge offshore natural gas field shared between Iran and Qatar, holds one of the world’s largest reserves of natural gas. China National Petroleum Corporation (CNPC), China’s largest oil and gas producer and supplier, was contracted for the project. Iran has accused China in the past of failing to fulfill its commitments and delaying its contractual obligations. It suspended a $16-billion contract with China last year for the North Pars gas field. “The Chinese side has stated it is not inclined to be part of the project's (South Pars) development,” citing the “high risk” involved in offshore exploration, Nikzad added. 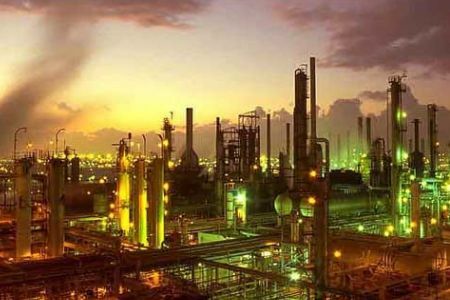 Major Western companies that had been operating in South Pars, among them France's Total and Anglo-Dutch Shell, withdrew from Iran between 2007 and 2010 after international sanctions were imposed over Iran’s controversial nuclear program. Why can't Iran get the job done on their own? Meanwhile Qatar is extracting as much gas as they can, I don't know if there will be any gas left for Iran if these goddamned Mullah's are gone. Ps: Why hasn't this site done an article on Chuck Hagel. not even the Chinese are going to put any money into Iran until the theocrats stop lying ----or are gone. Sad situation for the future of Iran as long as the mullahs and their damn regime remain in power. Iran needs to get rid of dead beat regime and start anew. sure, friend, those sanctions aren't hurting Iran's economy at all.....just like the Chinese are lazy ....and need Iran for anything much.